Irma’s Kitchen – Come Join Us Again In Spring! 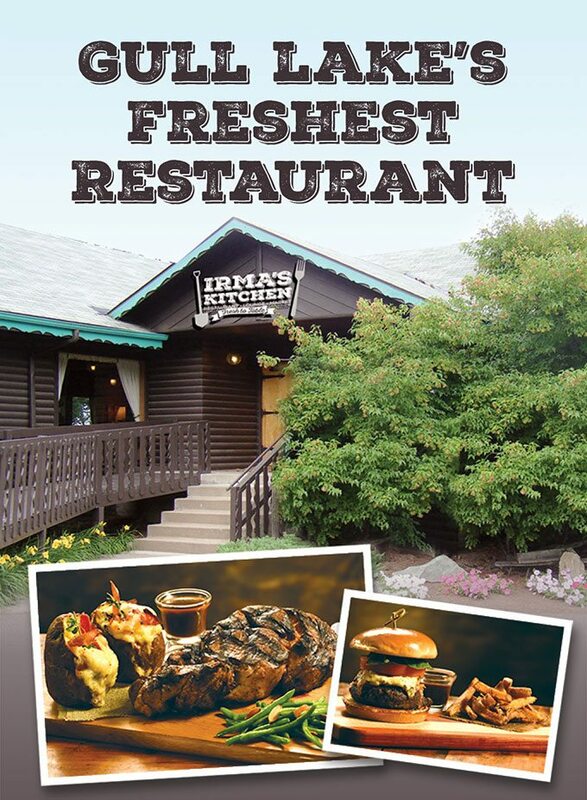 Irma’s Kitchen, Gull Lake’s freshest restaurant will be open 7 days a week for dinner from May 31 through Labor Day. From September 6 through September 22, Irma’s Kitchen will be open Thursday-Saturday at 5 pm. Irma’s Kitchen will close for the season on September 22. Located in the former home of the Hungry Gull Restaurant the building dates back to 1926. All food items are made in house using many of Irma’s recipes and the freshest local ingredients. In 1988, Dutch and Irma Cragun purchased Island View and connected it to the Cragun Complex. The Lodge was opened a year later after kitchen enlargement and redecorating as the Hungry Gull Restaurant & Bar. When you come to dine, take notice of the Pastry Cooks cupboard which was salvaged from the kitchen by Irma and refinished to retain part of the buildings tradition of good cooking. 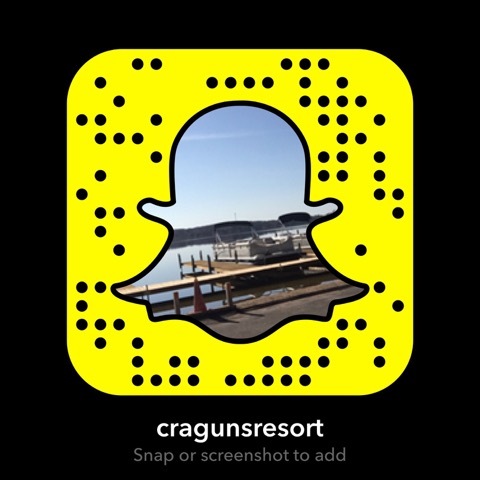 The name for Gull Lakes freshest new restaurant, “Irma’s Kitchen”, was chosen to acknowledge the important role that Irma Cragun played in the food service at Cragun’s Resort over the years. 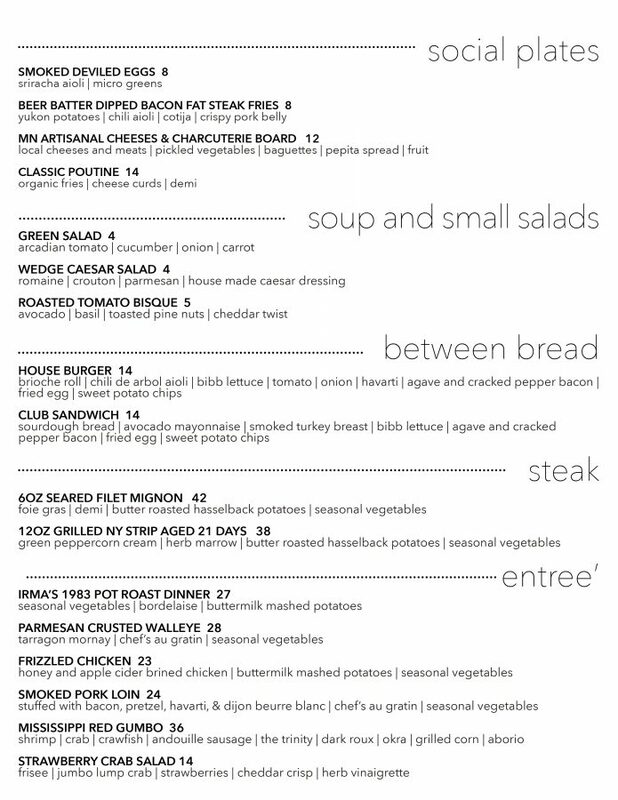 As for the food, the menu is divided into sections titled Social Plates, Soup & Small Salads, Between Bread, Steaks and Entrees. 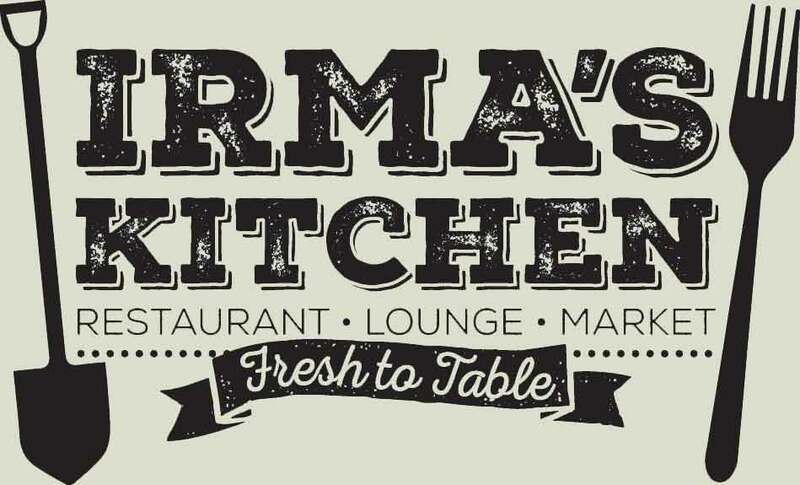 Irma’s Kitchen will showcase local products and ingredients and will serve dishes like Artisanal Cheese & Charcuterie, Bacon Scallops, Classic Poutine, Bay and Field Po’Boy and Grass Fed Filet Mignon for dinner.